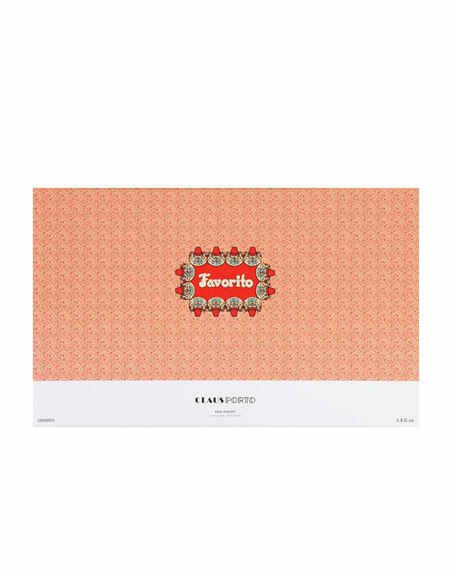 Each Claus Porto scented diffuser is presented in a beautiful biscuit porcelain vessel that bears our distinctive logo and makes an impressive centerpiece. Natural rattan reed sticks absorb the oil blend and gradually diffuse the scent, filling the room with a unique, inviting fragrance. 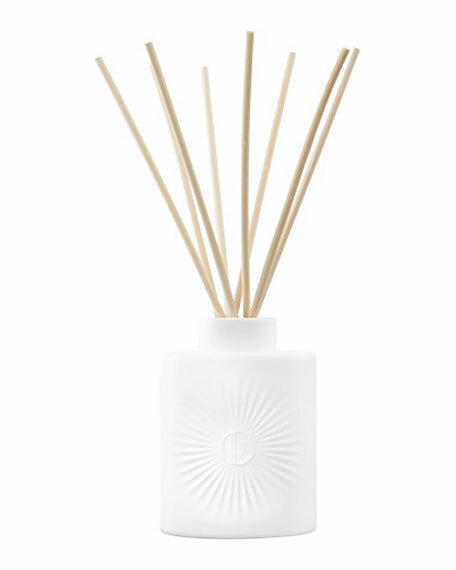 Each box contains: 1 porcelain vessel, 8 reed sticks and 2 bottles of fragrance (2 x 3.4 oz./ 100 mL). Vibrant notes of red berries centered around a heart of green leaves and red roses, blended with pepper and patchouli to create the abstract illusion of the red poppy flower. Top Notes: Red berry and green leaves.